The moment of truth – we think we must identify a “no turning back” point where you pressure someone to make a decision, and if they don’t respond well, that jeopardizes the relationship. Asking someone about the Gospel feels like making a pass at them. If I like my friends, and want them to continue to be my friends, I have a major incentive NOT to try to evangelize them. These are mostly based on Emotions! 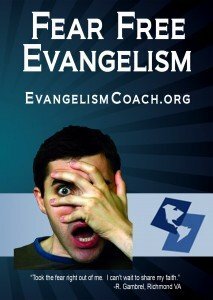 Our emotional baggage associated with “Evangelism” is probably the biggest baggage. Pushy televangelists with funky hairdos asking for money and pushing people down. What does “one beggar telling another where to find bread” mean? My friend was obnoxious year after year always telling me I needed Jesus. Read more about how to get my audio CD set to help you over come your evangelism fears. Well since im an evangelist and I do ministry in India,I would say that my greatest fear is that people may not be receptive to the Gospel.Hey but thats not my job,My job is to preach but its the job of holyspirit to convict people..My fears are gone when I stare at His face..
Evangelism…If it were an easy task, we would carry it out on our own; but since it is not easy to overcome fear and/or convince people, Jesus equipped us with power trough the Holy Spirit. Our job is to speak. The Holy Spirit trains us, supports our work with words and miracles that convince, and also prepares the hearts of those who wil be approached by us. The whole strategy is set. We have to do the work, even if we do not see immediate results. The Word of God will never return empty. Something will remain there and get them closer to Jesus than they were before. Here is my video about one way to witness. For believers witnessing is a given. It is the same with living a holy, obedient lifestyle. Jesus has already told us that we will be taken before the courts, we will be beaten and even face death for His sake. They hated Him; they will hate us. The “They” of which I speak are those who love this wicked world more that righteousness. If we love Jesus, we will obey Him…NO QUESTIONS ASKED! He has told us all about our eternal reward. 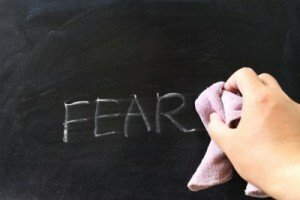 Therefore, it is not about “fear,” but rather it is about not knowing Jesus as the Lord of our lives. Buck privates dare not follow the commands of their commanders on the battlefield. Following commands for a true soldier is also a given. It is necessary if the battle is to be won. The Commander Jesus sees the big picture…we don’t! He has already won the battle for us…all we have to do is follow His commands and we will be rewarded in heaven. Witnessing is a command of the Lord Jesus to all believers.